The opponent who answers 1 e4 with an emphatic 1...c5 (The Sicilian Defence) is often looking for a fight. Such players can be highly theoretically prepared and itching to launch into their own pet variations after White has opted for the main lines with an early d2-d4. The Closed Sicilian is an ideal antidote to such aggression. In the Closed Sicilian an awareness of the strategies and plans is far more important than the simple memorising of variations. White's play is logical and the basic ideas are simple to master. However, do not be fooled into thinking the opening is without venom. The deliberate and slow burning attack that White often builds up has resulted in numerous fine attacking victories. 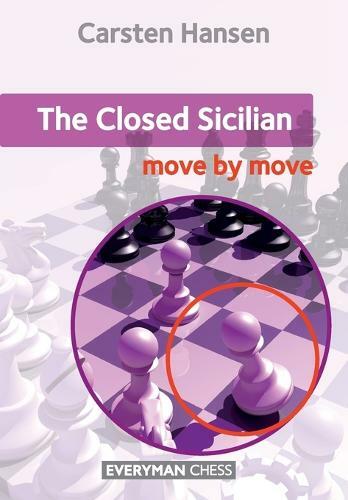 ----- The Move by Move series provides an ideal format for the keen chessplayer to improve their game. While reading you are continually challenged to answer probing questions - a method that greatly encourages the learning and practising of vital skills just as much as the traditional assimilation of chess knowledge. Carefully selected questions and answers are designed to keep you actively involved and allow you to monitor your progress as you learn. This is an excellent way to study chess while providing the best possible chance to retain what has been learnt. ----- * Everything you need to know about the Closed Sicilian. --- * The Q and A approach emphasizes plans and strategies. --- * Written by an expert on the opening.